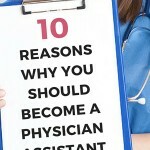 Physician Assistant school interviews are extremely challenging. 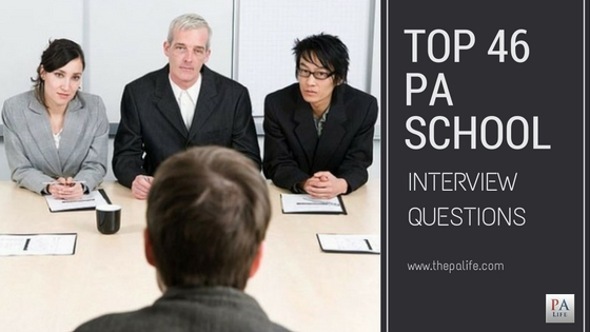 Here is a comprehensive list of 46 high-frequency pa school interview questions that you are likely to encounter. 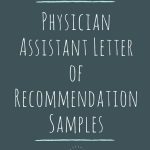 This list of the "Top 46 Physician Assistant Applicant Interview Questions" is adapted from Andrew Rodican's excellent book "The Ultimate Guide to Getting Into Physician Assistant School", Christina's helpful video post from PrePARC (which is no longer available), actual physician assistant applicants, and my PA school interview. 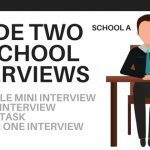 Have an answer ready for each of these questions, and you will ace your PA school interview! Most programs have several volunteers who sit on the admissions committee, evaluate applications, and conduct applicant interviews. 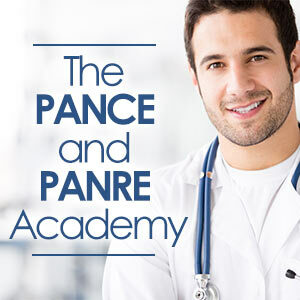 The committee comprises program faculty, program PA students, graduate PAs who work in the community, and various other medical professionals. Each committee member is issued a stack of applications to review and score. That same stack of applications is then passed on to two other committee members for review and scoring. Once all the applicants receive a score, the committee meets to select a group of candidates to interview. 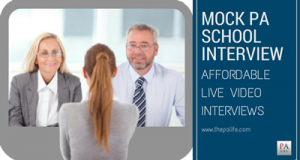 The number of applicants invited to interview varies from program to program. Many schools interview approximately 100 applicants per year. The committee usually unanimously agrees on 75 or so candidates who are clearly and objectively the cream of the crop. The final 25 applicants are selected through a process of individual and group selection. The interview often consists of 3 parts: 1. The student interview, 2. The group interview and 3. The individual interview. 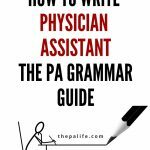 Question: What is a PA? 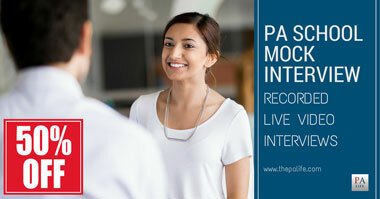 Question: Why do you want to be a PA? 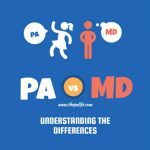 Question: What is the difference between a PA and an NP? Question: Are you familiar with any national or state level regulations for PAs? Question: How many hours a week do you plan on studying? Question: Tell me what your typical day looks like? Question: Do you have a car, where do you live, what is your social support and are they close? Question: How do you plan to pay for your education? Question: What kind of stress do you see associated with the PA profession? Question: Have you applied to other programs? Question: What have you done to prepare yourself for this profession? 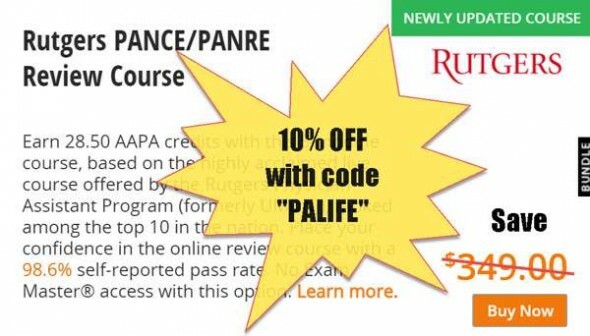 Question: Have you done anything to increase your chances of being accepted to the PA program? Question: What makes you stand out from the person sitting next to you this morning? 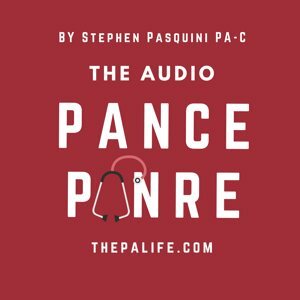 Question: What is your understanding of what PAs do? Question: Tell us about the role you see the PA playing in the health care system. Question: How do you feel about taking call or working 60 or more hours per week as a second-year student? Question: Describe an interaction you have had with a patient that made an impact on you. Question: What do you think is the most difficult situation described in the interview scenarios that you completed earlier today? Why? Question: Describe the most stressful work or academic situation you have been in, and tell us how you dealt with it. Question: How do you usually deal with stress? 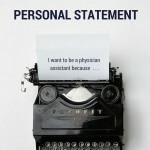 Question: What kind of personal stress do you see associated with our PA program? Question: Describe the history of the PA profession. Question: What do you do outside of work or academic studies? Question: Please discuss your answer to question #__ on the interview questionnaire. 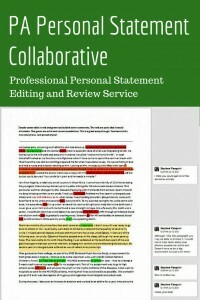 Or, What did you mean by __ on your essay? Question: Your file indicates that you have had difficulty with __(e.g., time management or science coursework). Would you like to explain this? Question: What accommodations, if any, do you need to successfully complete this program? Question: So, tell us a little about yourself. In other words: Why are you here? Question: You have had several jobs in the past; how do we know you will finish the program if we accept you? Question: Why do you think Duke turned you down? Question: What are your strengths as an applicant? Question: What are your biggest weaknesses as an applicant, and what do you plan to do to correct them? Question: Do you manage your time well? Question: Do you prefer to work with others or by yourself? 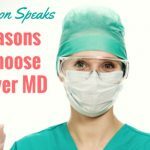 Question: Your supervising MD tells you to do something that you know is dead wrong; what do you do? Question: What interests you most about our school? Question: What would be your ideal job as a PA? Question: What did you learn from your overseas internship/experience? Question: What do you want to be doing five years from now? Question: Have you ever seen anyone die? Question: Did you have any trouble finding us? Question: What was the most difficult question they asked you at Bowman Gray? Question: What will you do if you don’t get in this year? Question: Do you have any questions for us? 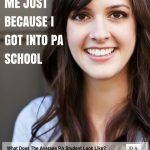 300 actual PA school interview questions that have been asked of the generations of PA school applicants who walked before you. 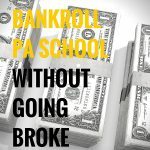 Bonus Question 47: Why did you choose PA school over medical school? JD says: "Although it may seem silly, many of my friends were asked this question and it can really trip people up. 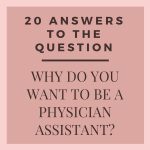 You definitely don’t want someone answering with “I want to become a physician later” or “I didn't get in” or even “I have applied to medical schools as well.” None of these answers give people the impression you are passionate about becoming a PA!" Bonus Question 48: If we have only one position left to fill why should we pick you? 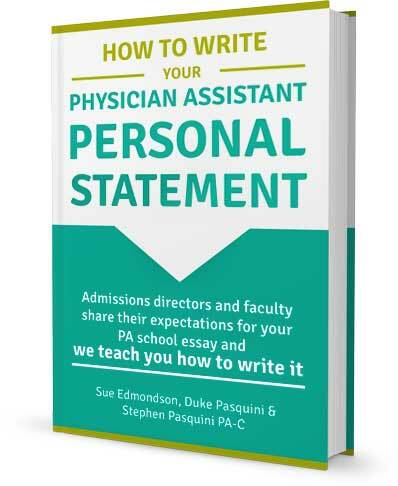 What makes you sure you want to become a PA? Where do you see the future of medicine heading? If you could pass a law that would help PAs, what would it be? What experiences influenced you to pursue this career? 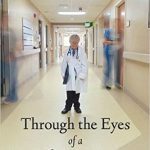 What are the greatest problems facing the field of medicine in America? If you saw someone stealing medications in the hospital, what would you do? 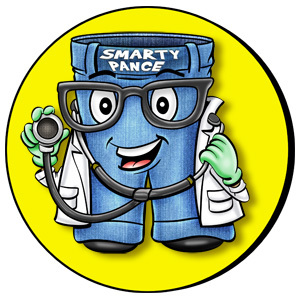 * If you have volunteered, shadowed or had direct-patient care, be sure to mention this during your interview questions. 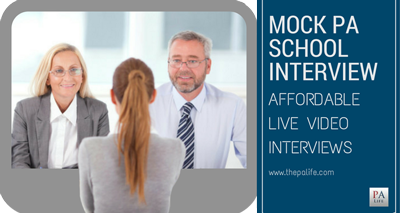 * Prior to your interview, have the school put you in touch with a student or alumnus to discuss the program. Not only can you gain valuable information about the program, but describing this conversation during your interview will let the program know you are especially interested in their program and you’re willing to go above and beyond to find out this information. * Hint: Always be ready for the unexpected. On my application and during my interview I mentioned that my wife (she was actually my fiance at the time as I was to be married in 2 weeks) was a registered nurse. At the end of my interview one of the staff members on the panel asked me "since I was married why was I not wearing a wedding ring"... Valid question! I told them the truth: that fiance' just didn't seem to fit since we had been together for 6 years, we were to be married in 2 weeks and she would be traveling with me 3,000 miles in a U-Haul, changing jobs and was the main reason I was sitting before them that day. One of the panel members gave me this look of disappointment? And I was worried. I remember having this quick thought at the time that I should just lie and tell them that I left my ring at home or in the hotel room. But, I am a crappy liar, and that would have been horribly obvious. Click on the text to hear me ask you the question... Then provide your answer. Always be honest, no matter how hard the question is . . . The road to PA interview success is lined with the building blocks of your life. Don't try to be somebody you are not, or try to answer the questions with some memorized rote version of what you think the interviewer wants to hear. They have heard those answers a thousand times. Believe it or not being yourself is a novelty at times. Wow them with your individuality, your passion, your compassion, your work ethic and your knowledge of the PA profession. Don't forget to leave your answers in the comments section! Please I need interview questions and answers for physician assistanship for new entrying students? I have to say, I was extremely nervous about my PA school interview. I spent a long time studying, especially common questions. My interview was literally 10 minutes. I was only asked three behavioral questions. 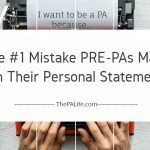 Nothing about why I wanted to be a PA, no definitions, nothing. I was shocked and felt there was no way a program would be able to judge my character or intelligence based on a 10 minute interview. Following the interview, I spoke with some other applicants who told me that they had interviewed with several other programs and the majority of their interviews were the same way: unbelievably short. So maybe those long interviews are just fluff. In my experience conducting and watching lots of recorded interviews of PA students through our interview prep, the best interviewees are not the ones that answer the questions with the most clarity but the ones who approach the process with energy, enthusiasm and a big, bright smile. 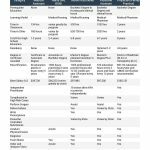 Do I need to disclose that I received an MIP even if I was told by a probation officer that it wont show up on a background check? Also, if I do disclose that information, how heavily will it impact my application? If you are sure it won’t show up on a check then you may not need to. But there is some paperwork that we had to complete as part of the admissions process that asks you about previous charges, etc. etc. and I am not sure if this could haunt you later on down the road. 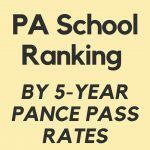 Why don’t you call a PA program you are not applying to and speak with their admissions director and ask them about this. That is what I would do… eliminate any doubt and also the worry that comes with it. What school honestly asks why they thought duke turned them down? That question seems kind of rude and unprofessional. Thank you for these questions, I found them very helpful in preparing for my interview. I recently found out that I was placed on the waitlist for my first choice school. I was wondering if you have any advice for waitlisted candidates? I began to write a letter of interest, but had read several pros and cons to sending this. I also was planning to call the school to ask for feedback about what areas I could improve upon. Do you think that would be appropriate? Thank you in advance for any and all input! This is a great question. I wish I could provide you with definitive advice here but if it were me I would probably call after a couple weeks just to check in, explain that you are on the waitlist, explain how much you enjoyed your interview, same some names of the faculty you met and let them know that this school is your very first choice and you are wondering how the selection process is going and if there is anything you should (or could) be doing during this period. I wouldn’t ask for feedback on areas for improvement just yet, as this sounds like you are accepting defeat. 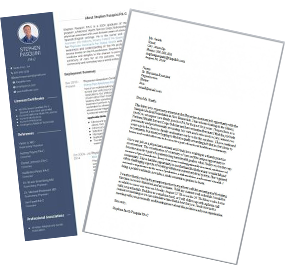 Or, maybe consider sending a letter thanking them so much for the interview, explain how much you enjoyed meeting everyone, review some of the key point you learned at your interview and express your most sincere gratitude and interest once again. You could even send them a photo of you wearing a school hat and shirt (although that would be daring) I think it would certainly be original! You will have to know how it goes!